From the very beginning, we saw the "What happens on your iPhone, stays on your iPhone" banner hung on a hotel visible from the convention center. It turns out, this wasn't Apple's only move. The announcement of a TV HomeKit category, and the news that iTunes Movies, AirPlay 2, and HomeKit support are coming to several brands of televisions in some combination captured a great deal of attention before the show even started. For the end-user HomeKit means being able to use Siri to control TVs instead of relying on a universal remote like Logitech Harmony. You should be able to turn on, off, change volume, channel, input, and potentially smart applications like iTunes Movies, all by voice. We've been waiting for more HomeKit cameras, and HomeKit video doorbells, especially with the news midweek during the show that Ring employees had unrestricted access to end-users doorbell footage. Suddenly, we're not as upset that Ring had never delivered on HomeKit support if this is the way they secure footage. While at the show, we like to visit press events that happen before CES officially begins. Unveiled, Pepcom Digital Experience, and Showstoppers each put on events, and they give companies that may not exhibit on the show floor an opportunity to show their announcements to the press. Some of the products we saw seem practical, and like every CES some of them will never see the light of day. 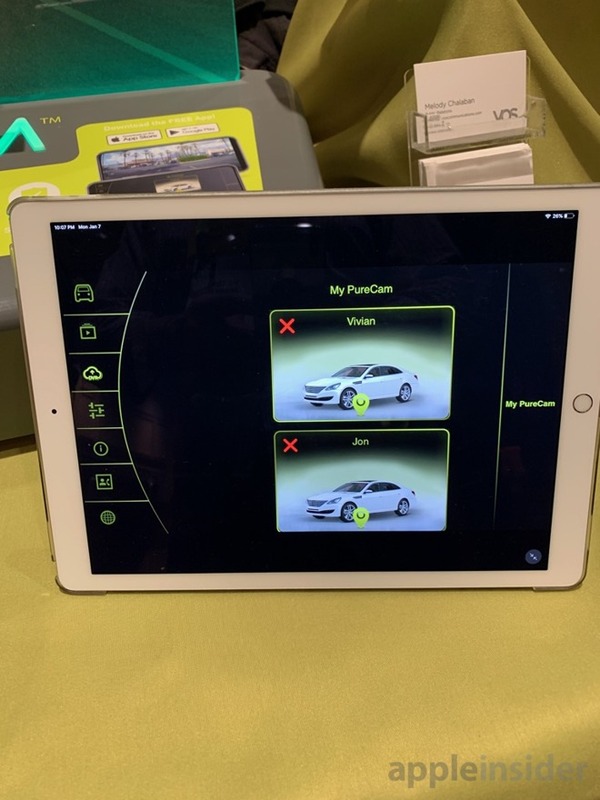 We've seen a few dashcams in the iOS connected space. Perhaps Owl is the best-known, but PureGear brings a few features to differentiate themselves. 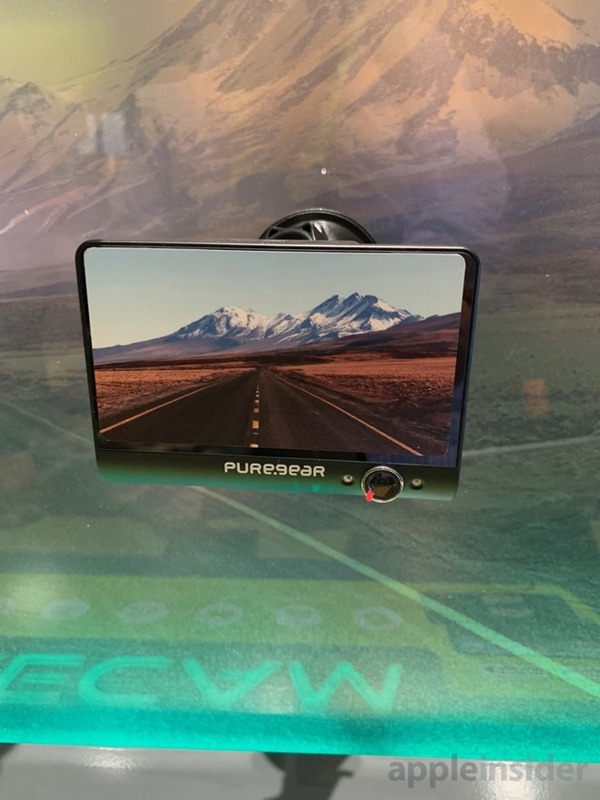 The PureCam is a dashcam with dual cameras for front and rear video, 4G LTE so you can stream from it anywhere in the world, GPS so you can locate the car if you can't remember where you parked, or it gets stolen, and Wi-Fi to create a hotspot anyone in the car can join. It uses an accelerometer, so when there's a g-force event, the camera uploads an emergency video to the cloud and sends it to up to 3 emergency contacts. 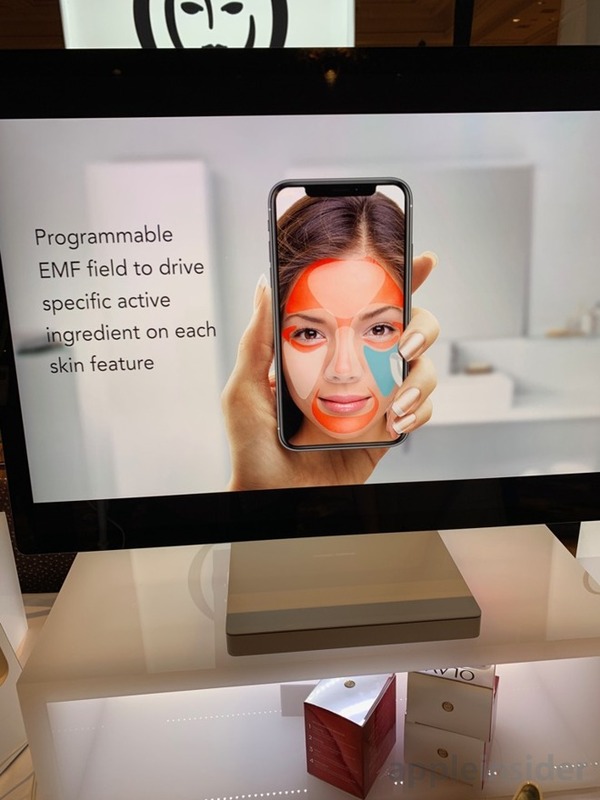 App-enabled beauty was a theme at CES 2019 with L'Oreal, Olay and Neutrogena showing products for skin care. In 2018, L'Oreal introduced the My Skin Track UV, which is available at Apple stores now. 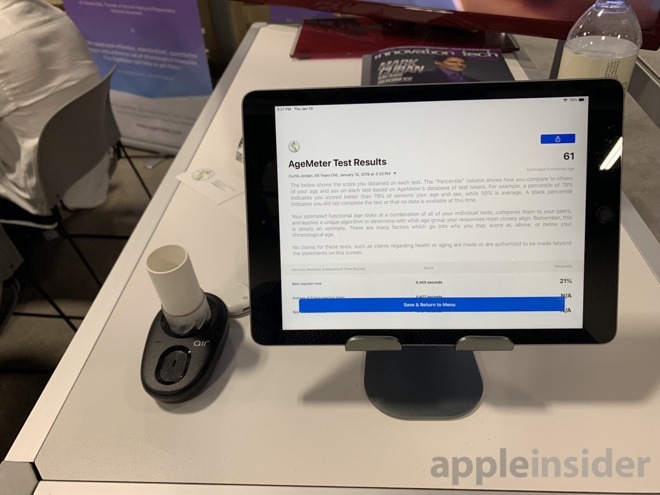 This year at CES2019, L'Oréal unveiled My Skin Track pH, a sticker that uses microfluidic technology to analyze trace amounts of sweat for a precise pH reading within 15 minutes. L'Oreal notes that it is important to maintain a skin pH close to 5.5, or slightly acidic, in order to keep skin healthy. When skin pH is more neutral or basic, it leaves the door open for dermatitis or acne, and the not-yet-available My Skin Track pH could help with that. Olay brought their new Facenavi Bluetooth wand. The Smart Wand is a handheld wand that uses electromagnetic pulses to turn a single-use Olay face cream into a multi-use product, able to treat puffiness, wrinkles, sagging, discoloration, uneven skin and other conditions. You start by opening the application and snapping a selfie. Then you tell the app what you're concerned about. The app then tells you how old it thinks your skin is. The Skin app shows your selfie, but with augmented reality overlays showing specific issues that you can address with the wand. Apply a cream, begin using the wand on the skin, and it will begin to pulse. The vibrations change as the wand moves over different problem areas on the face, and this is supposed to cause the cream to react differently. In the AR overlay, the colors fade when the wand goes over them, with little stars showing to give a feeling of accomplishment. Current skin care routines involve a bunch of different creams and treatments —if Olay can replace them all with a wand, and app, and one cream, that demonstrably does something more than a $4 bottle from the corner store, that seems like a positive development. and then uses the wand to activate different ingredients in Olay creams for different regions. Moving the wand over the face causes the app to show different parts of the face as completed. Neutrogena, like L'Oreal, is no stranger to CES and launching app-enabled products. At CES2018, they launched the Skin360, a camera attachment for skin analysis. 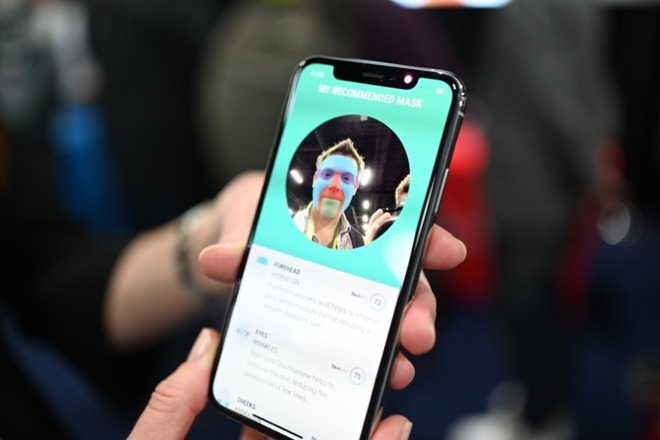 At CES2019, they've built on that, by creating personalized facemasks called MaskiD. Using the app and the Skin360, you capture a selfie that shows different problem areas on the face that require different treatments. The app displays an augmented reality overlay and recommends different treatments for different areas. Each mask will be custom-made with ingredients like Vitamin C or hyaluronic acid in specific areas of the mask. A separate MaskiD phone app allows a consumer to upload a selfie that can then be measured to customize the shape of the mask. The masks are then made and shipped to you. This kind of customized product won't be in retail stores, but instead will be ordered only through neutrogena.com, and will be available in the third quarter of 2019. Neutrogena also uses augmented reality to display trouble spots on the face, and then ships a custom-made mask to treat them. Eureka Park is an area of the show where startups can display things they're working on, even if they aren't necessarily directly consumer related. Agemeter is one such booth. We've all heard of the concept that based on fitness and diet, our body could be older or younger than our actual age. Agemeter sets out to measure this and provide some useful insight into it, for a medical doctor to measure patients. It's currently being used at Harvard and uses an iPad app to test things like auditory reaction time, lung function, lung capacity, memory, heart rate variability, muscle coordination, reaction time, movement time, and more. 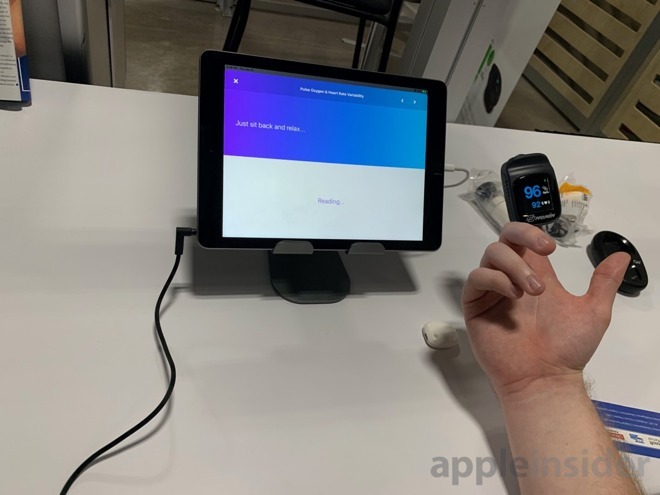 The app, associated hardware (pulse ox meter, lung capacity peak flow meter) cost about $7000, but again, it's meant for medical professionals for use with patients. Over in the Israel Pavilion was Lumen, who we talked to previously. It's still a combination carbon dioxide hardware sensor and app that intend to inform you about your metabolism and guide you to losing weight. When it becomes available, we hope to have a unit in our hands for longer periods of time and be able to report how it goes. Walking the CES show floors nets us 20,000 steps a day, and if Lumen works like we expect, we'll be in good shape. We came across Whooshi, a crowdfunded headphone DAC for $99, showing functional pre-production samples. Unlike Creative Labs' Super X-Fi, which involves taking photographs of your ears to set up a profile, they use an app to guide you through profiling your headphones and what you can hear. The controls are simple —just volume up/down and play/pause, and the connectors are USB-C to charge and the standard headphone jack. What makes it really interesting is that it uses the AAC codec for Bluetooth. Apple's iPhone supports the older SBC and higher-quality AAC as codecs for Bluetooth audio, making the Whooshi theoretically better than most Bluetooth headphones available today —and you get to use your favorite headphones you've always used. 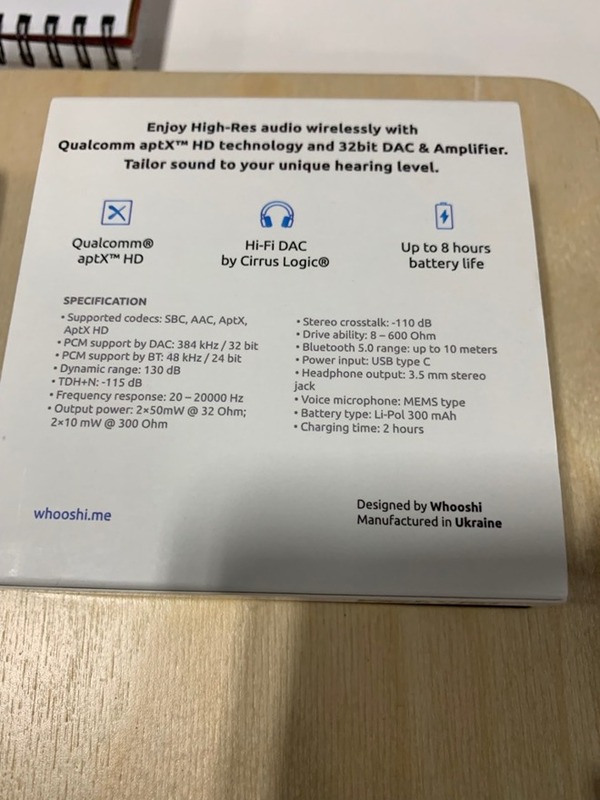 Their website mentions Apt-X HD and not AAC, but the packaging and materials we saw at the show say AAC and the founders who were on site confirmed it. 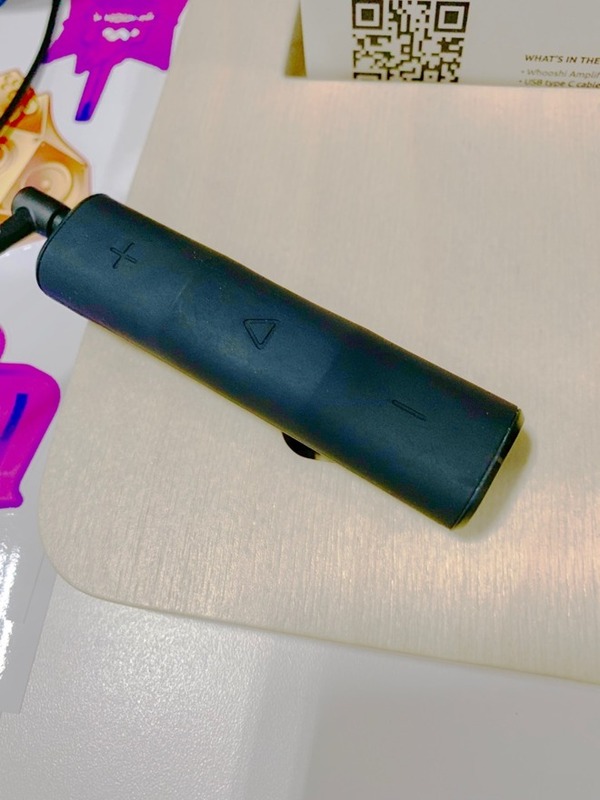 If a headphone DAC with AAC in it isn't your speed, many of Audio-Technica's 2019 line shown at CES utilize AAC, at price points that should be accessible to almost everyone. At the medium high end, for $299, the ATH-ANC900BT QuietPoint Wireless Active Noise-Cancelling Headphones are over-ear cans with Bluetooth and the important-to-iPhone-users, AAC. They get 35 hours of continuous play with noise-cancellation and bluetooth on, and can be used as wired headphones as well. More affordably, at $199, the M50xBT is a Bluetooth version of the studio favorite, M50x. It supports AAC, and sounds good. 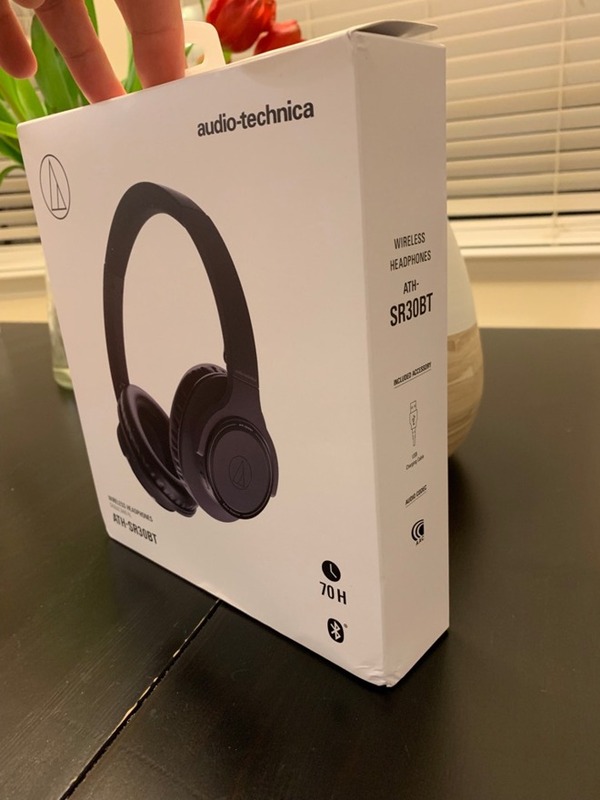 People who are intimately familiar with the M50x may notice a slight sound difference, because the ear cup depth had to be enlarged to accommodate battery and Bluetooth parts, but Audio-Technica have tuned them to be as similar as possible to the wired original. 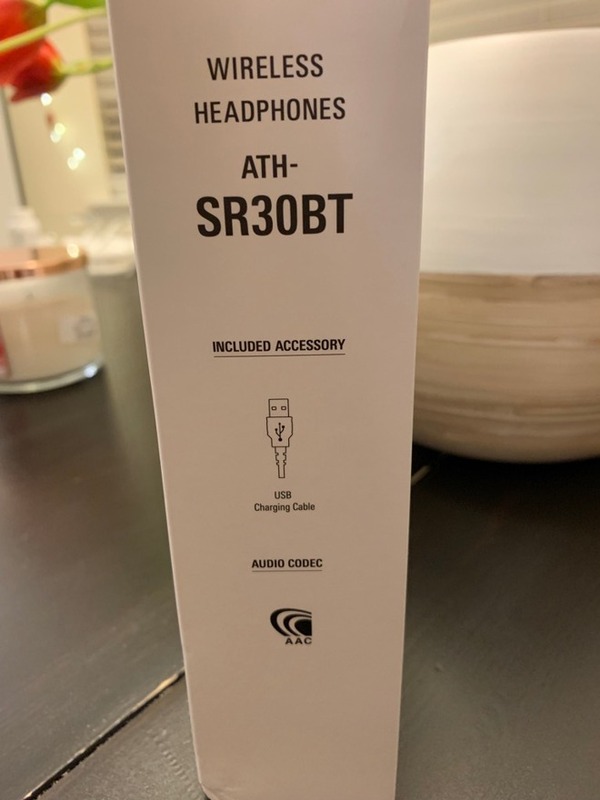 The ATH-SR30BT Wireless Over-Ear Headphones are the most affordable over-ear headphones from Audio-Technica, and they have the AAC codec over Bluetooth at the low price of $99. You'll get 70 hours of continuous playback if you wear these. We're pleased to see a major manufacturer using the best codec for iPhone in their 2019 line-up. That detail we love, "codec: AAC"
MyHeatworks invented an ohmic array to heat water efficiently and precisely. They're using it in a tankless water heater, a counter-top dishwasher, and a carafe. The water heater works with an iOS app to configure temperature, and manage it, but we're a little more interested in the dishwasher and carafe. 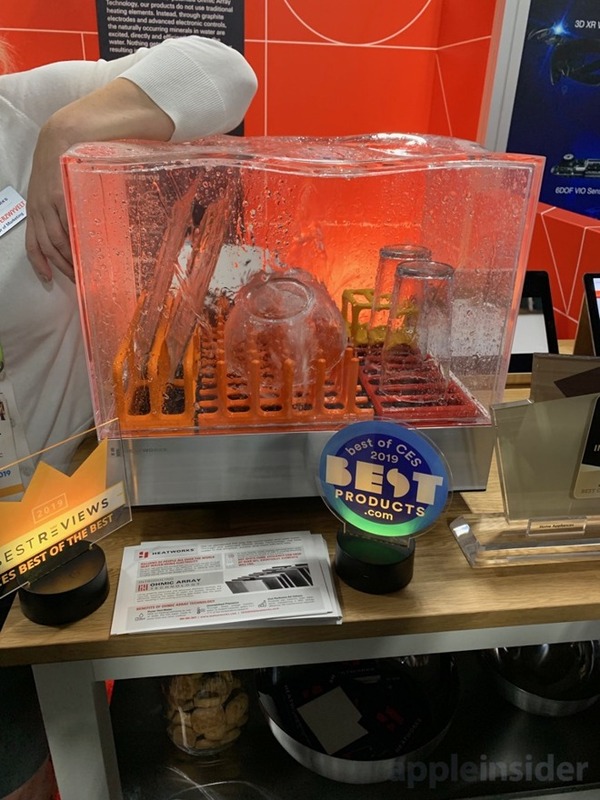 The CES 2019 Best of Innovation Award Honoree Tetra dishwasher uses its own reservoir, and requires only a connection to electricity. Because it has its own reservoir and can heat precisely within one degree, it can double as a sous vide cooker. We know that seems a little unusual, but it makes a lot of sense for kitchens that are short on space. The carafe is a little easier to understand. The Duo Carafe has two spouts, one for hot and one for cold water. It has a rechargeable battery, and can heat within one degree of the set temperature. Because it's battery powered, it heats even as it pours, ensuring that you get exactly the temperature you want. It can heat four cups, nearly instantaneously. The carafe. This is an excellent idea. The Nanoleaf smart light panels were there, and they're always fun to play with, being touch-sensitive and HomeKit-enabled. The greatest thing about them is that you can arrange lights in some unique patterns, and place them in places where a putting a light might normally be difficult. We got to see the new CarPlay products from Alpine, and Pioneer. Sony, Boss, Dual, and Kenwood/JVC were also at the show, and we're looking forward to bringing you more information about their products throughout the year. Doorbell cameras are our favorite new HomeKit product, including the Netatmo and Robin versions, along with Yale introducing their new HomeKit deadbolt locks. Protecting the door is really one of the great uses, especially with Ring's bad behavior. Drones get smaller and more interesting. 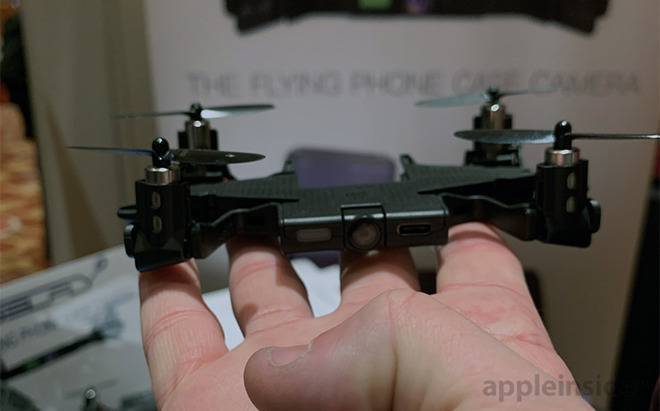 We saw a number of them at the show, but the one that really took off for us was the AEE Selfly drone. It's sized to dock in an iPhone case, and in addition to being flown by app, uses the iOS app to recognize and follow faces - hence the name. It flies by itself in this mode, hovering and taking selfies. 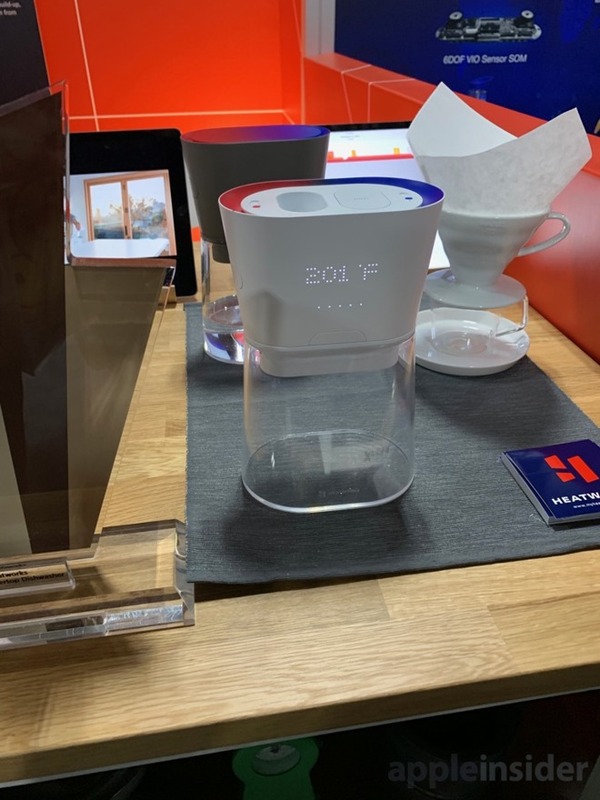 CES 2019 is a place where it's easy to get overwhelmed by the sheer amount of stuff. There are always cases and cables of every conceivable type, and we tend to try and look for themes: Augmented reality, HomeKit, CarPlay, and USB-C, for example. We saw far more HomeKit accessories that we've seen before, we saw some CarPlay updates, and much more widespread use of USB-C. Alexa and Google Assistant were everywhere, and it seemed as if there was a strong beauty undercurrent, from the ones mentioned above to SimpleHuman's AirPlay 2 makeup mirror. We can't wait to see what next year has in store.